I was born in 1962 and have lived in Somerset, England all my life. In the mid 1980's I qualified in Anatomy, Physiology and Massage and worked at a local health clinic. In the early 1990's I gained my Fitness Instructor's Certificate at the London Central YMCA and worked at a number of local leisure centres in the area with my main work being done in Shepton Mallet. During this time, I also qualified as an NVQ Assessor for the Fitness Industry and gained my City & Guilds Adult Teaching Certificates to enable me to take classes to teach students to become fully qualified Fitness Instructors. I founded Merryfield Hypnotherapy whilst training to be a Solution Focused Hypnotherapist/Psychotherapist and at the end of the course I gained my Hypnotherapy Practitioner Diploma. In February 2015 I suffered a Stroke causing me to put the business on hold whilst I underwent recovery. The next 18 months became a steep learning curve on the condition, dealing with the frustrations of my limitations and finding solutions to my situation. Combined with the death of my father in the same year to Motor Neurone disease and the decline of my mother with Dementia following a stroke 12 months later I have learnt a lot about the emotional issues that come with these horrible diseases as well as the mental and physical demands expected of the person affected and the carers who provide the help and support. 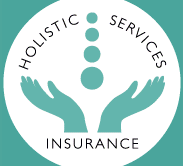 I am insured via Holistic Services Insurance and I am also a member of the Association for Solution Focused Hypnotherapy and registered with the Complementary & Natural Healthcare Council. More information can be found by clicking on the relevant logo below. The Health Education Authority in England has said, "Research shows that there is more scientific evidence for Hypnotherapy than any other Complementary Therapy... by using hypnosis, people can perform prodigious feats of will-power and self-healing". It can help with addictions, anger, blood pressure, blushing, lack of confidence, insomnia, IBS, relationship/marital difficulties, migraine, nail-biting, nightmares, obsessions, pain control, panic attacks, phobias, sexual problems, skin disorders, stress, trauma flashbacks and weight control. Hypnosis is a normal and natural method of altering someone's state of consciousness. It is very pleasant and relaxing but at one with deep concentration. Hypnotherapy is the application of hypnotic techniques in such a way as to bring about therapeutic change. Hypnotherapy also has a profound affect on the way our problems, whether past, present and future, are both viewed and dealt with. A major re-evaluation takes place. It is also second to none as a route to greater self- knowledge enabling us to become the person we were always meant to be. Solution Focused Hypnotherapy is a collaborative process and it is important to understand that change happens because you want it to and because you are prepared to take the necessary steps to allow it to happen. I will expect you to be on time and to have an open mind. To listen to what is expected of you and to then put it into practise. Subsequent Hypnotherapy sessions involve much more than Hypnosis. During the first part of each session we'll talk about the progress you have made and you will be encouraged to express yourself positively, focusing on solutions rather than dwelling on problems. In Psychotherapy we apply scientifically validated procedures to help people develop healthier, more effective habits. Psychotherapy is a collaborative treatment based on the relationship between an individual and the Psychotherapist. Grounded in dialogue, it provides a supportive environment that allows you to talk openly with someone who’s objective, neutral and non-judgemental. You and your therapist will work together to identify and change the thought and behaviour patterns that are keeping you from feeling your best. By the time you’re done, you will not only have solved the problem that brought you in, but you will have learned new skills so you can better cope with whatever challenges arise in the future. Being in therapy will reduce your symptoms and help you feel better, but it’s beneficial to know that the journey can sometimes be bumpy. So, for Psychotherapy to be a successful, you have to crave change, possess a curiosity of your inner world and an interest in understanding what motivates you, and tolerate a moderate degree of frustration. This is where the myth that only crazy people—or weak-minded individuals—go to therapy gets the boot. Talk therapy is a valiant undertaking. And anyone who says otherwise is foolishly misinformed. 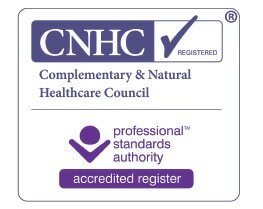 Although my certificate says I am qualified in Hypnotherapy and Psychotherapy it's important to note that I am not a qualified Psychotherapist, I just have been given training in this field and am able to use a number of their techniques when providing therapy..
Much the same as the Hypnotherapy sessions but without the Hypnotherapy. So if you think it would be good to talk but prefer not to have the Hypnotherapy, this is the one for you.